Ah, the cottage… an oasis of tranquility from the hustle and bustle of life. Or is it? When the cottage has become a disaster reno zone with exposed insulation, half-completed 2×4 walls, and excessive amounts of spray foam that have made the view of the lake a lot harder to enjoy. The good news is contractor Dave Depencier is coming to the rescue of cottagers in over their heads with a reno gone totally wrong in Mountain Road Productions’ newest renovation show. 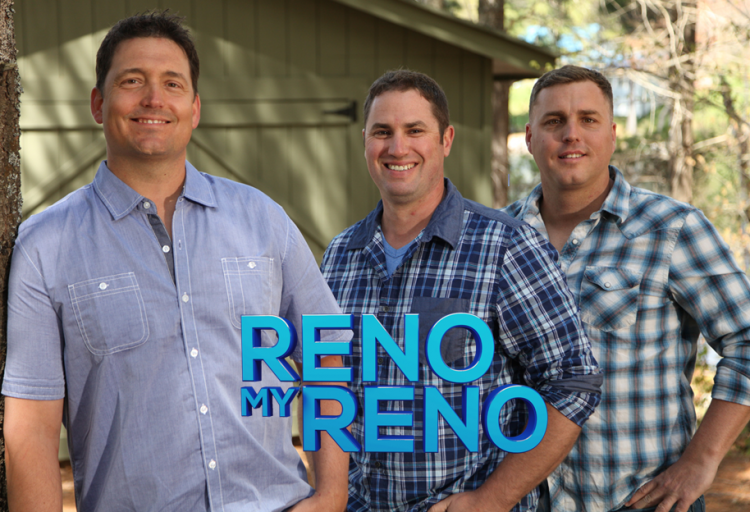 The 13-episode series, Reno My Reno, premieres June 4 at 9:30pm ET/PT on Cottage Life. Produced in association with Blue Ant Media, Reno My Reno dives into the world of cottage reno projects that have gone off the rails. In each episode, top notch contractor Dave Depencier and his team turn disaster renos into a little piece of cottage perfection. Along the way they right all the wrongs and teach the culprit behind the reno project how to do things properly. In just two days, Dave and his team whip these misguided DIYers into shape to create outstanding transformations, leading to jaw dropping reveals. In the first episode airing June 4, self-proclaimed ‘unhandy’, Robert tried to surprise his partner Rose by finishing their sunroom. But Robert had never done drywall before. He went completely overboard with spray foam and with his favourite tool in hand he quickly stapled his way into a reno disaster. Frustrated, Robert abandoned the project leaving an unfinished mess in his wake. Throughout the season viewers will witness everything from doors installed with a six-inch lean, to steps that look like park benches to feature walls with stone held on with two-way sticky tape. Because when it comes to the cottage “works for me” is the gold standard for these DIYers. New episodes will air Thursdays at 9:30pm ET/PT on Cottage Life, repeating Sundays at 6:30pm ET/PT and Wednesdays at 8:30pm ET/PT. A sneak peek episode is currently available through Cottage Life Video On Demand. For a full schedule visit tv.cottagelife.com/schedule. Please click here for a full press kit, including high-resolution promotional photos. About Mountain Road Productions Ltd. Since 1997, Mountain Road Productions has become synonymous with originality and excellence in the television production industry. The company has produced multiple critically-acclaimed and award-winning series, specializing in factual, home renovation, comedy and lifestyle programming. For more about Mountain Road visit mountainroad.ca. Where every day is the weekend. Escape the city and leave the stress behind with Cottage Life. Celebrating the people, activities, and places that make your leisure time so special, it isn’t just about getting away – it’s about a frame of mind. Exclusive content covers real estate, food, DIY projects and much more. Both informative and entertaining, no one captures the essence of weekend living like this. tv.cottagelife.com. Blue Ant Media is a privately held media company that creates and distributes content internationally in categories that span lifestyle, travel, music, nature and documentary. Through 10 owned and operated consumer brands, including Cottage Life, AUX, Oasis and Smithsonian Channel Canada, Blue Ant publishes original content via television, magazines, mobile and the web. In addition, Blue Ant produces experiential events and specialized consumer shows. Blue Ant Media is based in Toronto with a Digital Solutions office in New York, and recently made an investment in Omnia Media, a Los-Angeles-based YouTube network. To learn more, visit blueantmedia.ca.